It would be closer to the Absolute Color of the object if the center part of the Filter receives less illumination quantity from the main light source; it would be closer to ambient color tone if the center part of the Filter receives more illumination quantity from the main light source. 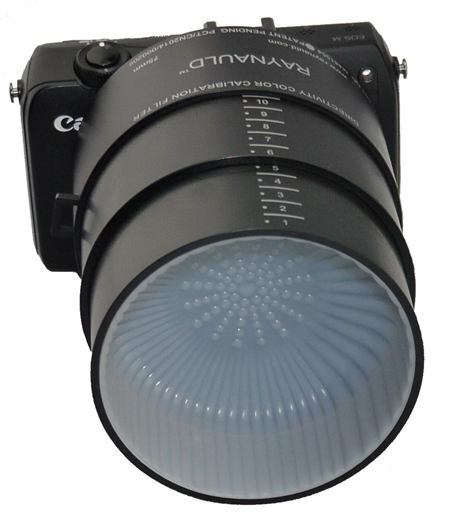 For examples, by fully extending the Filter cup out of the barrel to allow the cup well exposed to the main lighting that would achieve colder tone color temperature in the morning while warmer tone in the evening. Thus, you could easily manipulate the color tone to your preference between the Absolute Color and Visual Color by adjusting the Filter position in the barrel. can be removed from the lens. 3. Import the White Balance Data. 。Select the image that was captured in the step 1, then press . 。When the menu reappears, press the button to exit the menu. 4．Press to display the Quick Control screen. 1．Press the right button on [MENU/SET], then select White Set 1. 2．Press the UP button to display the small window. 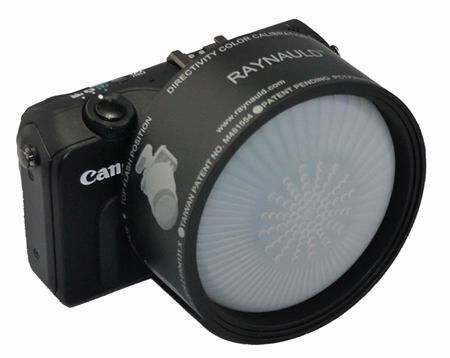 with Raynauld Directivity Color Calibration filter. shoot a photo or take a video. E Using the blue filter cup in the yellow indoor lighting to maintain the warm tone. ＊ The methods and steps to do the Manual White Balance (White Set, Custom White Balance, etc.) of each camera brand are different. Please refer to the camera manual for the correct operation. 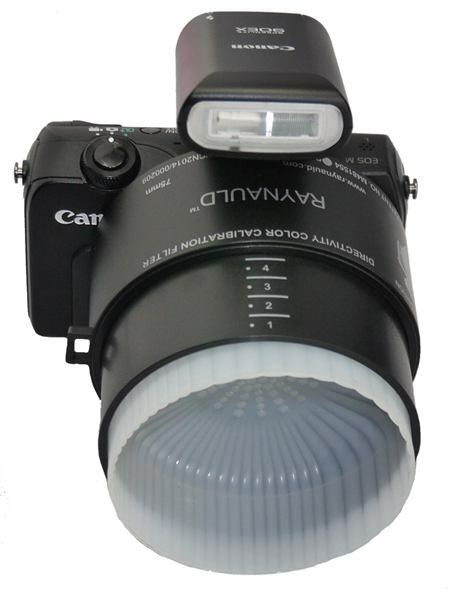 The option of “Manual White Balance” might only be available when the shoot mode is set in P, A, S or M.
＊ When using the remote flash or indoor photography lighting system, please follow the same above-mentioned steps while turning the flash light on and the required light system to perform the custom white balance with the filter. ＊ Set the photo style to NATURAL (NEUTUAL) with variety of (0,0,0,0)! The sharpness can be slightly increased. Based on the actual photo on monitor, the brightness might need to be adjusted if necessary for the best result. However, there might exist color cast to blue, red or green after the color calibration adjust using the filter, there might need to adjust the camera color system to correct its problems in order to shot for environmental color photos. For instance, Olympus E-PL1 has to set -3 in order to eliminate its reddish phenomenon of its photo. ＊ If encounter the unusual excess resistance while stretching out or drawing back the DCC Filter body, please twist the body a little bit to solve the problem. ＊ For those professional photographers who always mount the lens hood on lens or would rather not to take off the lens hood from the lens, please select the outer diameter of DCC Filter is smaller than the minimum inner diameter of lens hood so that the DCC Filter could be inserted into the lens hood for proper works. 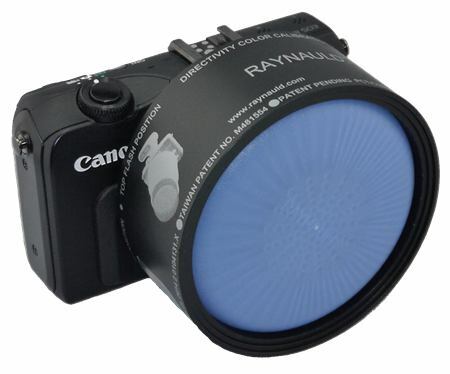 Or, you might choose a larger DCC Filter to cover the lens hood to work properly. ＊ Whenever photography scene or character display contents are changed, the average value of the color temperature of the framed scene would be varied. Be sure to redo the above-mentioned manual white balance to get the best color accuracy. ＊ When in use, only need to cover the front end of lens with Color Calibration Balance Filter to conduct the “Manual White Balance”. 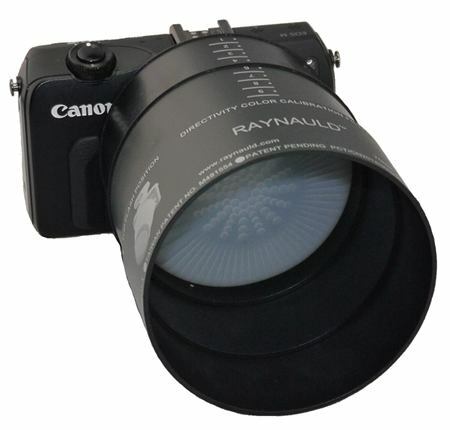 There is no need to cover the whole lens body with the black sleeve of the filter. ＊ Please avoid using the over-sized filter as it would degrade the color measurement performance in accuracy. ＊ The color calibrating function of the Filter is limited by the color system of the camera itself. It can not be expected to override the camera build-in system, such as shooting under extremely low light and low color temperature scenes (such as candle lights) or the color cast design of the camera etc. ＊ At a special photographic environment with a single color, please use a gray card or put additional staff on site to perform the white balance adjustment. It also helps to do the color calibrating by putting extra movable staff, such as chairs, cloths or body, in the scene. ＊ The colors from the “Visual Color” and “Absolute Color” positions are different from each other. Please choose and adjust based on your needs. ＊ Keep the Filter clean and away from any grease that could color the filter and damage its color calibrating accuracy! Clean with soft and dirty free towel. ＊ None of the current camera is equipped with the color temperature auto adjusting screen. Thus, please do not use the camera screen to do the photo on site calibrating purpose.